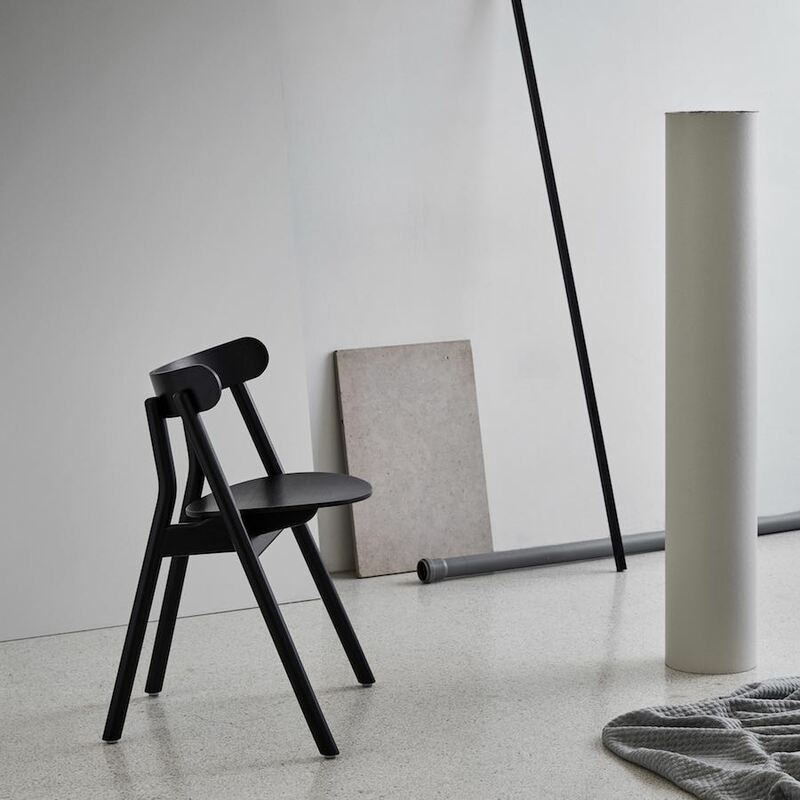 Stockholm 2019 – Oslo-based studio Morten & Jonas curated the 2019 collection of Norwegian design label Northern. 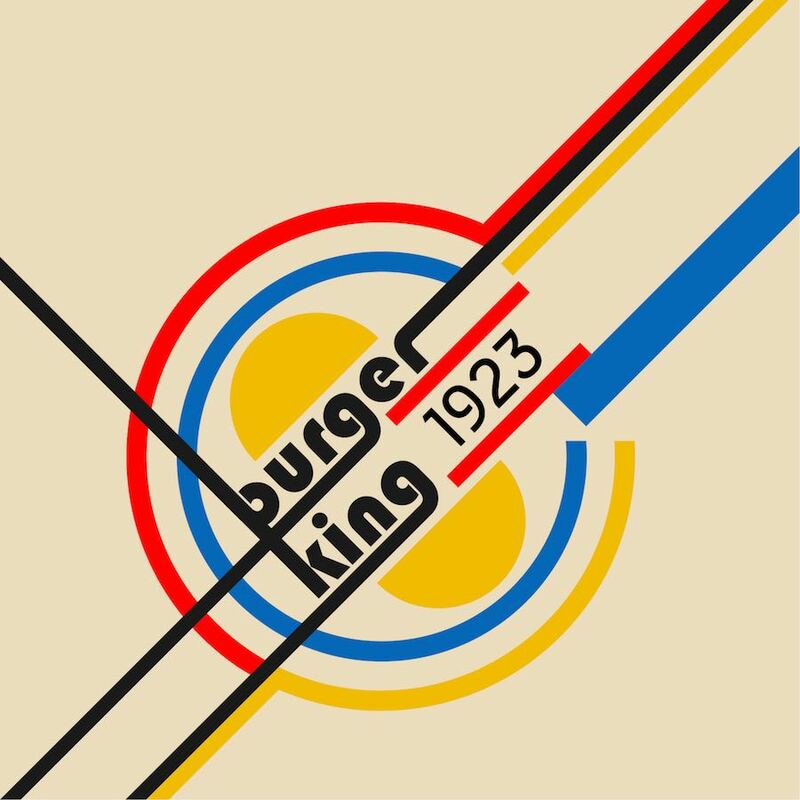 The new designs were developed by 10 international designers tuning an exquisite Nordic imprint with international and contemporary design. 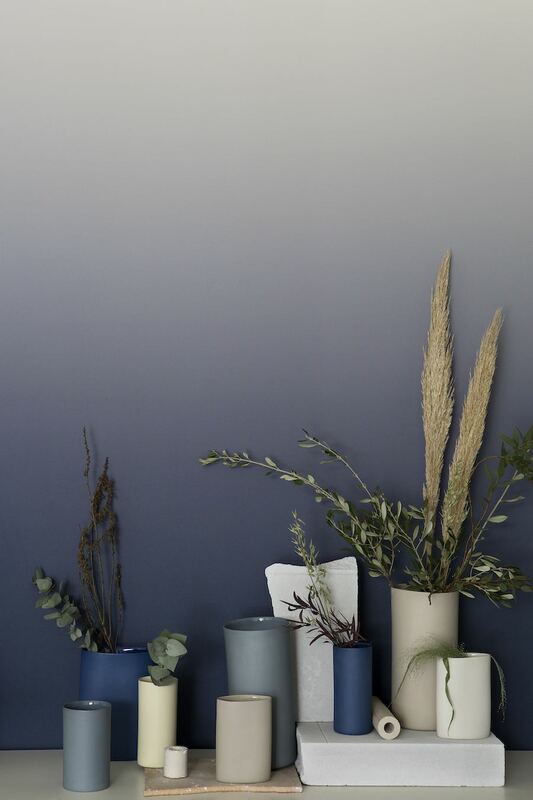 Northern debuted as a new furniture company in 2018 after an established expertise in lighting design under the name Northern Lighting. Reveal lamp and Daybe day bed. The expanded Peek mirror collection by Finnish designer Elina Ulvio features matt black frames creating bold outlines around the glass. 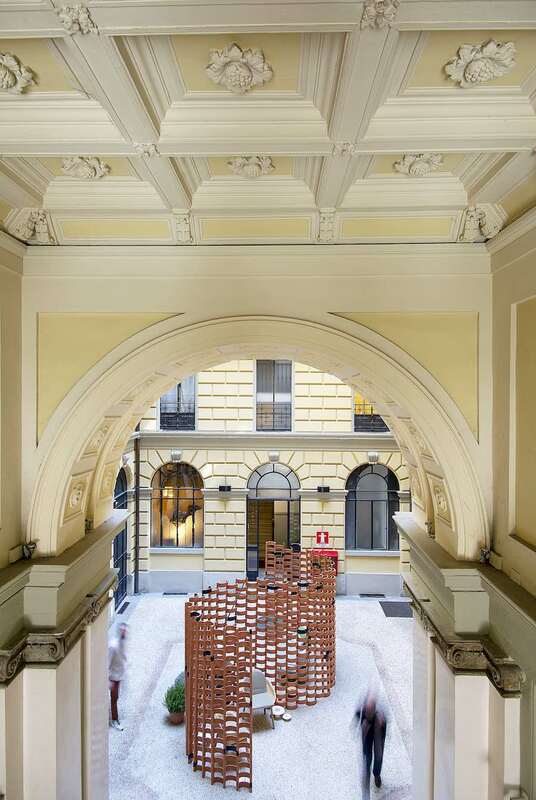 The glass does not fill the frame entirely, forming an open space that creates a compelling design detail. Multidirectional wall fixtures allow to hang the mirrors in vertical and lateral directions. 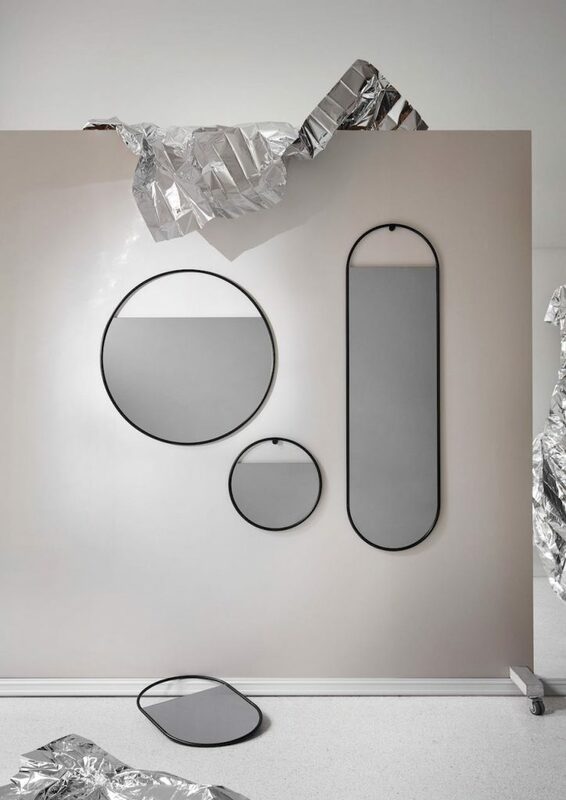 Peek mirror collection by Elina Ulvio. 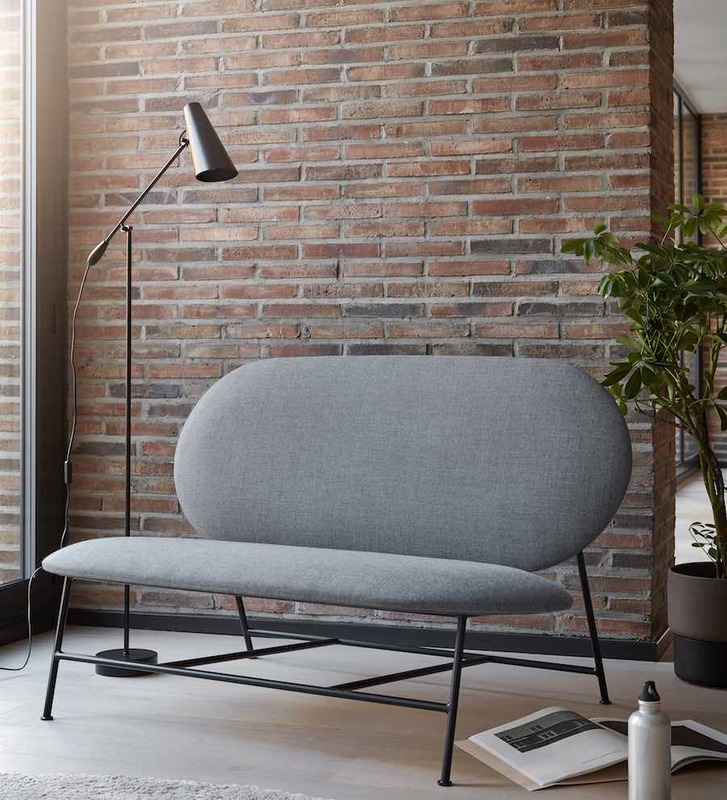 The Oblong two-seater sofa by Chinese designer Mario Tsai features two upholstered, oblong shapes accented by a frame formed by minimalistic lines. The seat and backrest are angled to slope gently backwards. 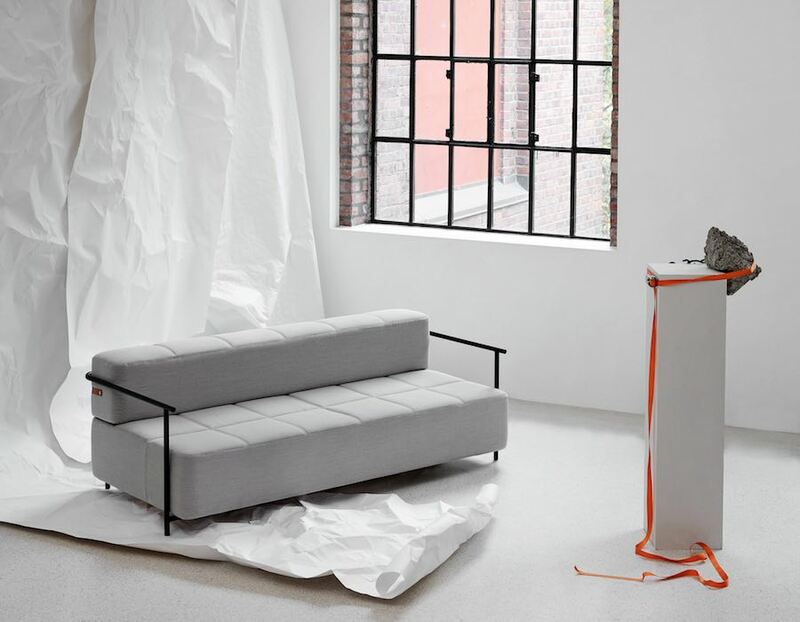 Oblong’s open base allows light to pass through, enabling the sofa to fill a small space. Oblong sofa by Mario Tsai. 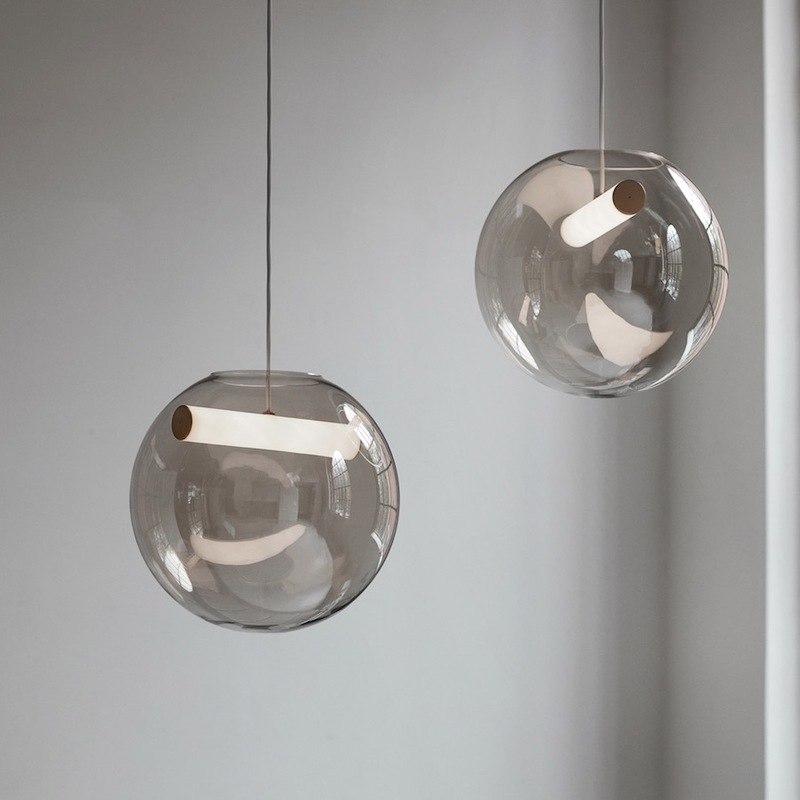 The smooth curves and unembellished surfaces of Reveal pendant lamps by Finnish designer Silje Nesdal are imbued with a Scandinavian glassblowing traditions. The shade is held in place by an acrylic LED light tube inside it, poised in a vertical position to hold it securely overhead. The caps at each end of the LED light tube are powder-coated to resemble a matt brass finish. Reveal lamp by Silje Nesdal. 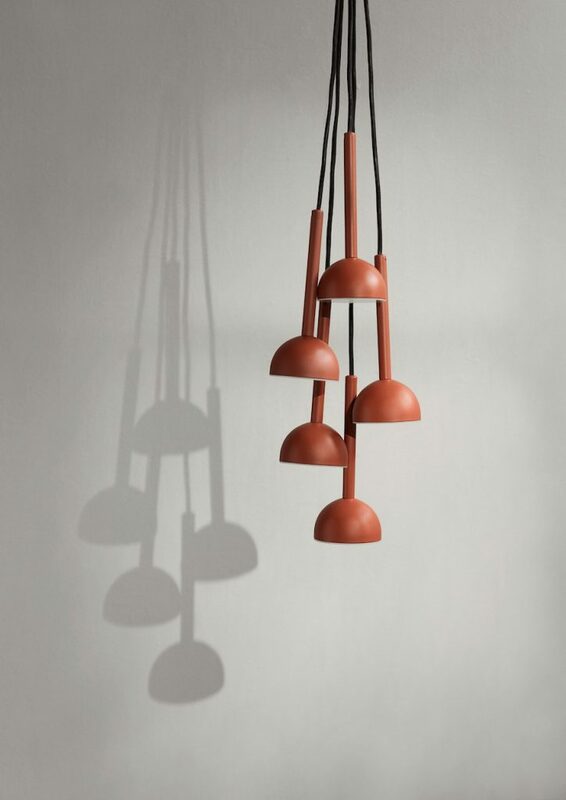 Blush pendant lamp by Morten & Jonas. With is bold silhouette, the Ink lamp by Felix Isidorsson shines on a white wall like black ink blot on a crisp white page. 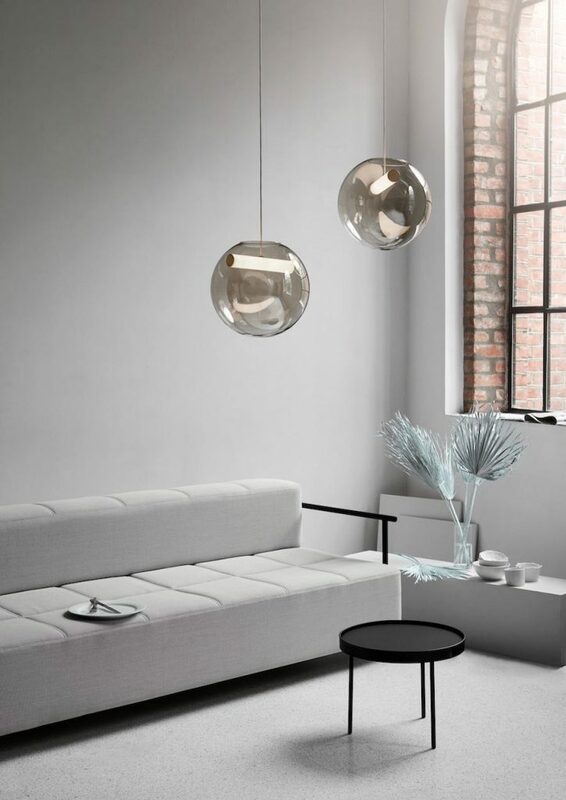 The adjustable shade has been configured into a smooth, concave disc that reflects light directly onto the wall. “The matt black surfaces of the shade and stem contrast sharply with the soft white LED light emanating from inside the shade”. 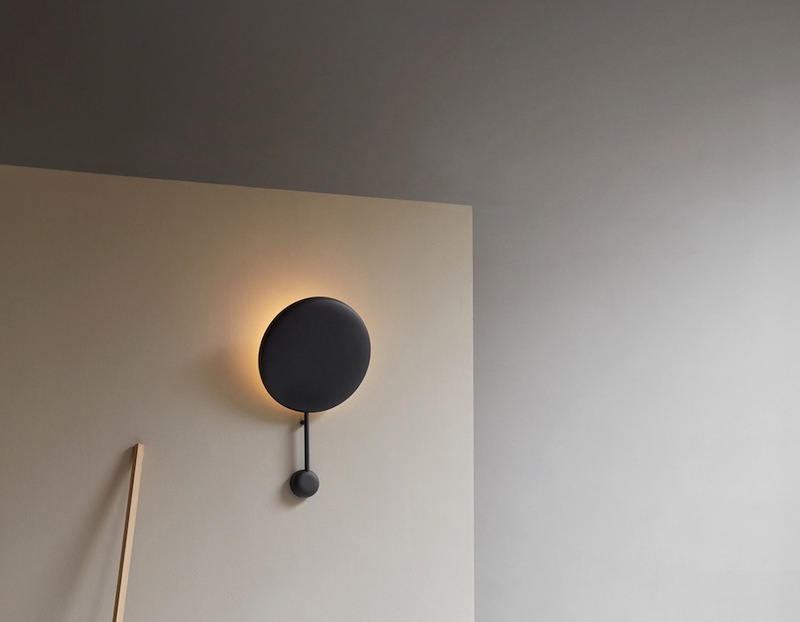 Ink black wall lamp by Felix Isidorsson. Ombre lamp by French designer Antoine Rouzeau looks like a plant, shining or blossoming from its compact base. The light is projected upwards directly onto the shade, where it is softened and diffused. 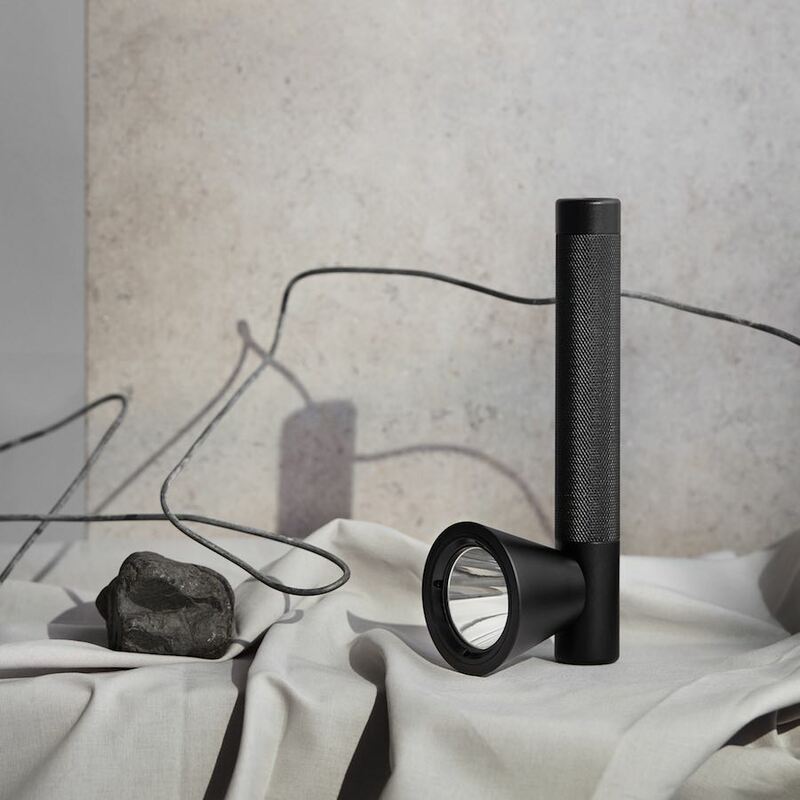 “As the shade is titled to direct the light, the effects create subtle shadows around the lamp”. The base and shade are crafted from steel and seamlessly powdercoated in matt black or beige. Morten & Jonas’ Daybe day bed. 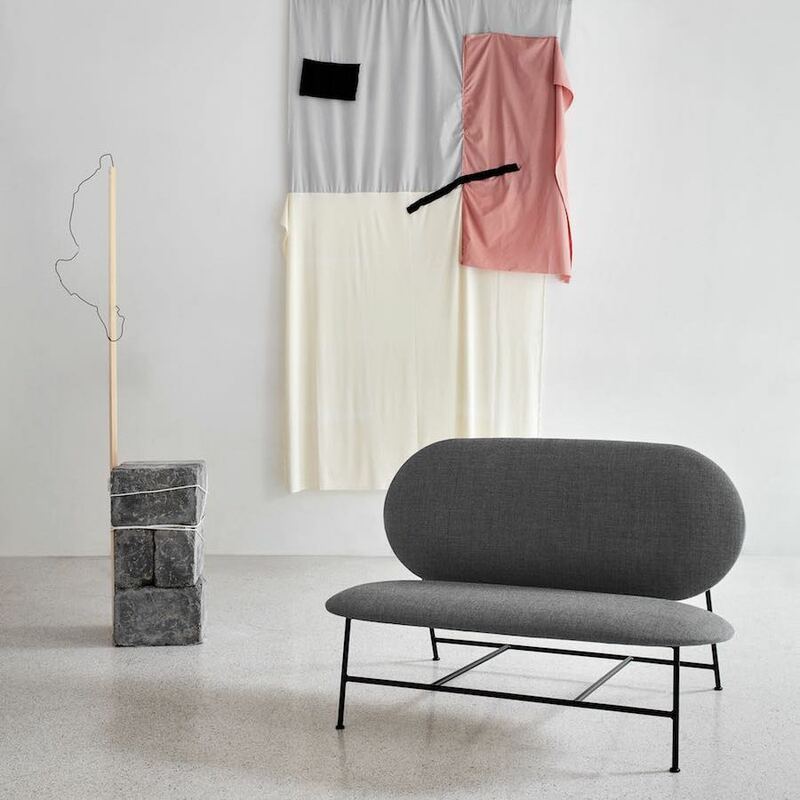 The 2019 collection feature also Morten & Jonas‘ Daybe day bed characterised by clean lines, balanced proportions, tailored details and a ‘soft block’ construction; on show in Stockholm and Imm Cologne also Rudi Wulff’s Hifive modular cabinet composed of streamlined components with a scrolling door, an optional metal base and a variety of wooden tops. 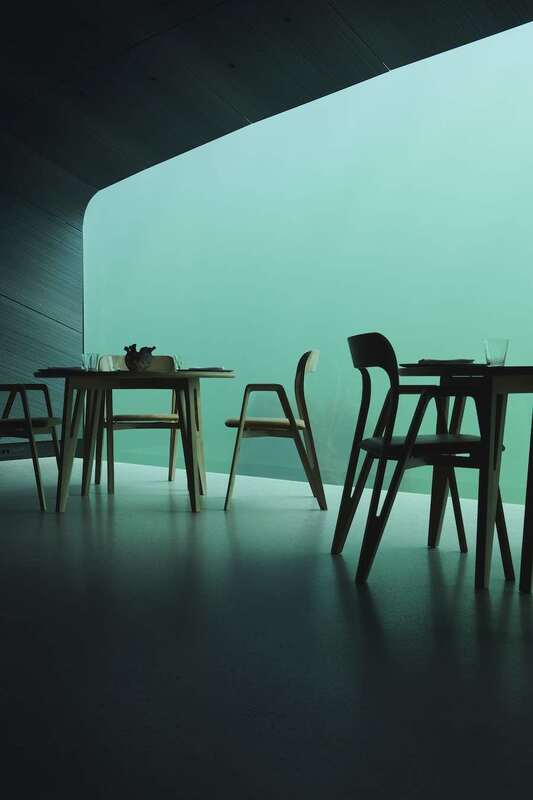 New also Gridy’s Oaki dining chair, crafted according to traditional smoked oak Japanese techniques, and the Trace flashlight, designed with three different light intensities. 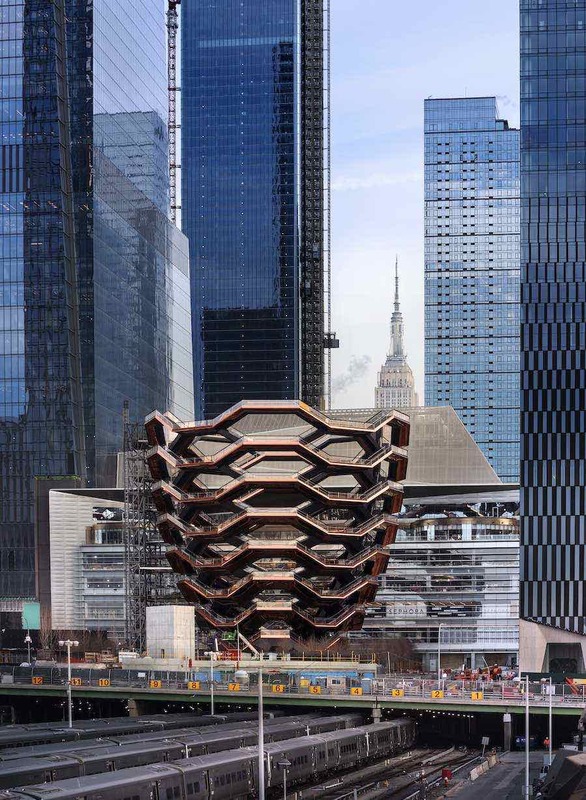 All photos by Chris Tonnesen, courtesy of Northern.